If you see the screenshot clearly, you could see the Database Size 0MB and stuffs like that. This is something which clearly frustrated me. 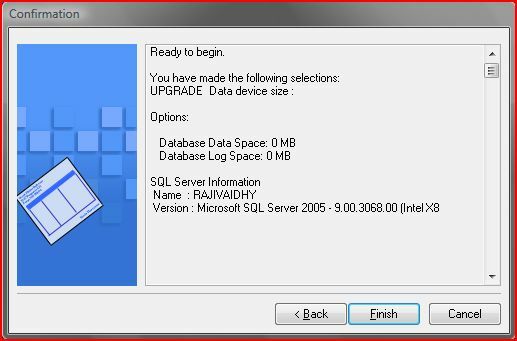 It should have ideally continued with SQL Objects upgrade and configuration. I had to think a bit to finally link the DYNSA screenshot and the second one. 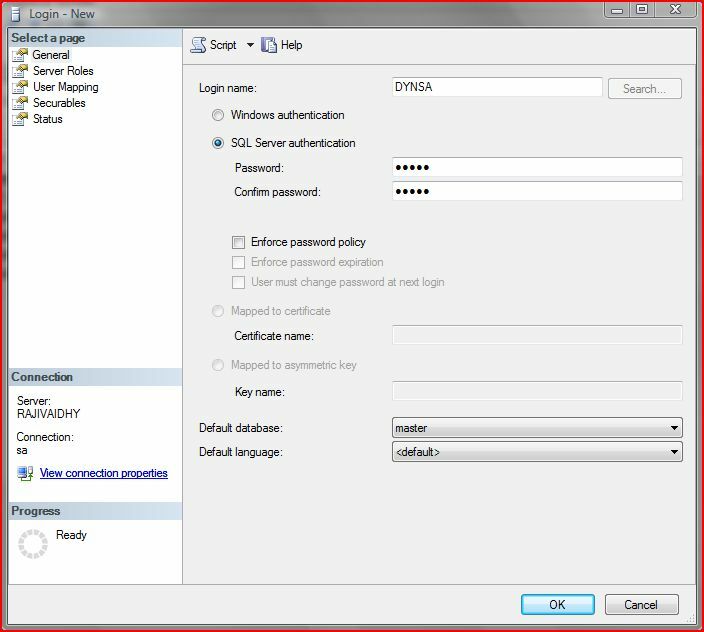 I just guessed it right to check the Database Security Logins once, to confirm whether the DYNSA was actually created (or exist at all). And I was right, it never existed. Then I relaunched GP Utilities. It went thru’ as expected. 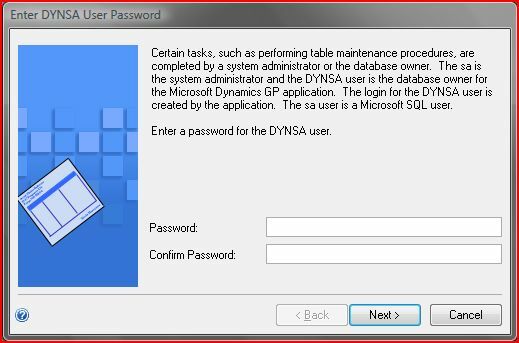 Just one thing which never got clarified: Why in the world the DYNSA user was not created when I installed GP 10.0 on my laptop for the first time? And if it actually did, why and when did it get deleted from my Database Logins? Well, I am still searching for an answer. Well, I was upgrading from GP 10 RTM to GP 10 SP3. I got the error like ‘DYNSA user doesn’t have grant permission’. When I checked in SSMS, it was fine.Then again I ran GP Utilities, now it went fine. I was wondering what happened. Is anything wrong with GP 10 SP3 MSP? I ran into this problem as well. 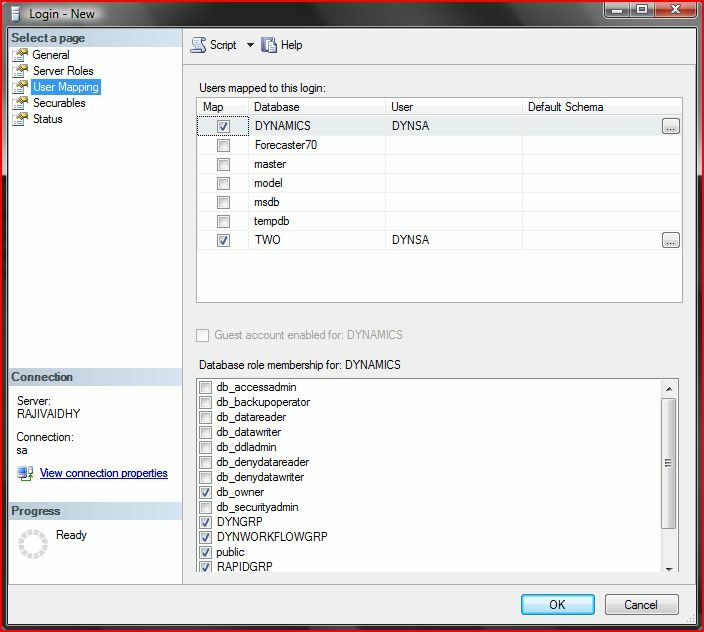 I believe the issue arises when you don’t use a “strong” password for the DYNSA user at the prompt for the password. Try using something like Fr33dom! other than the typical ACCESS and it should proceed through the upgrade as normal.